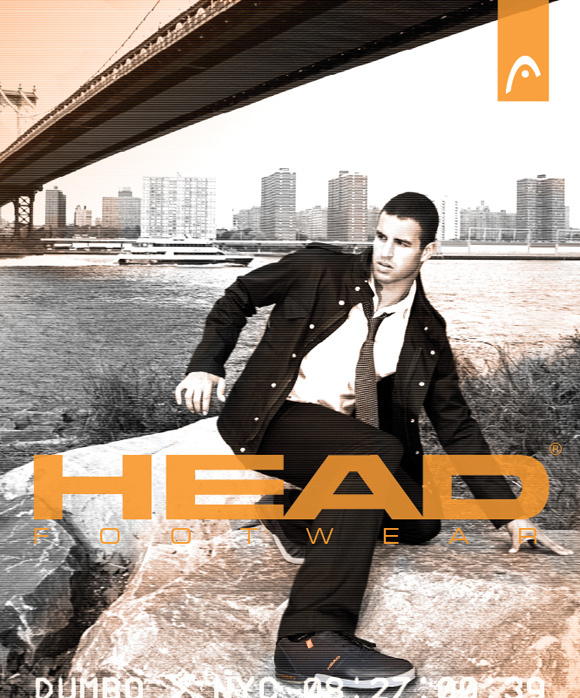 Launching a new footwear line in 2007, Defined by Media was brought on to handle the post production and graphic elements of the inaugural campaign. Handed a pair of photographs and the concept of “surveillance in New York City,” dBM began to transform the shots into a flushed out campaign concept. Back in the studio, the photos were muted down to create a softer overall feel while the footwear remained at its original color. 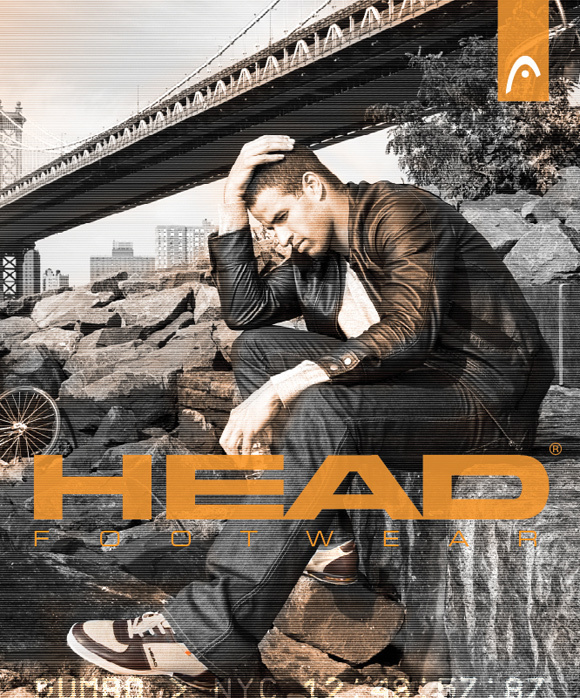 Then, additional orange tones were hand "painted" back into the shots to heighten the Head branding. Finally, scan lines, logos, and additional typography was added to imply the “surveillance” feeling.